Perfect tool for creating highly customizable mass-emailing solutions and executing mass-emailing campaigns with any number of recipients, from hundreds to millions. 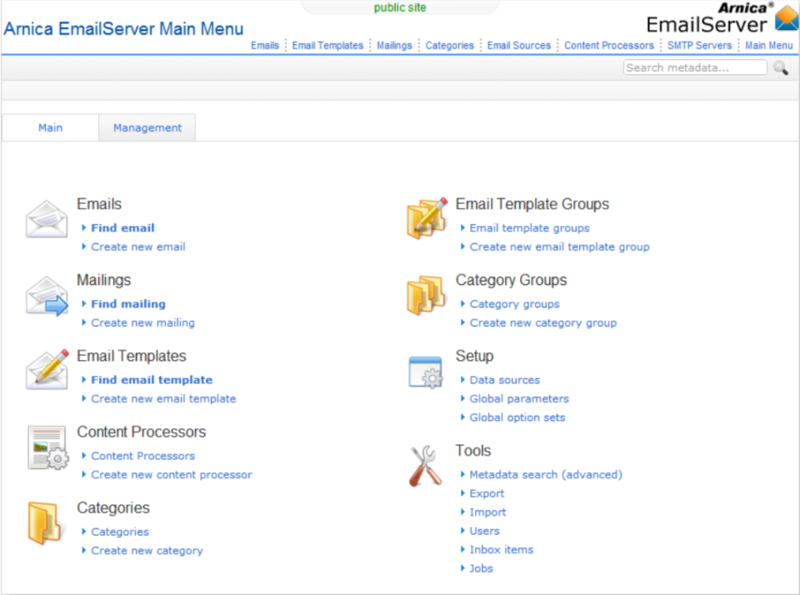 Arnica EmailServer is an enterprise tool for automating both mass-emailing and single email processing. EmailServer provides functionality for performing scheduled or on-demand download of incoming emails for multiple accounts and storing them in easy-to-access database tables through specially created database APIs. All email queue, mass-mail and incoming email management is done through a web browser interface.